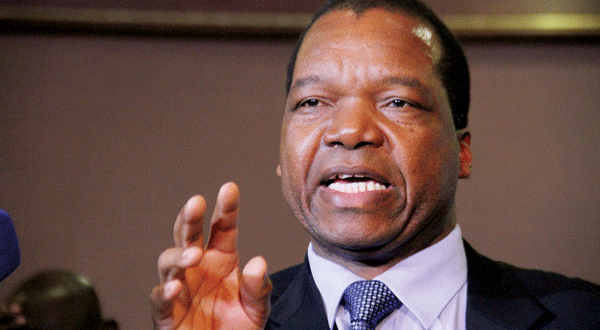 In January, Reserve Bank of Zimbabwe governor, John Mangudya issued an ominous statement on the use of international cards in making withdrawals outside the country. This was quickly followed by Econet reducing the amount that can be withdrawn using its MasterCard and Standard Chartered has now come up with stringent conditions for its visa card – all symptoms of an economy feeling the strain and running critically short on foreign currency. But, as ever, we are convinced Mangudya is dealing with symptoms rather than with the root cause of the problem. Even if people were externalising foreign currency using international cards, this surely is not much to cause a significant effect on transactions. For the past one and a half months, the maximum one could withdraw outside the country over 30 days using Econet’s MasterCard was $500, an insignificant figure that would hardly have an effect on the economy. The real issue that Mangudya and Finance minister Patrick Chinamasa should deal with is the appetite for consumption from the government – that is foreign travel and an insatiable love for big foreign cars. If Mangudya is serious about preserving foreign currency, then he must have a long and hard talk with his principal, President Robert Mugabe, on the desperate need for him to limit his foreign travel and cut down on his delegations. Bureaucrats may pontificate about the importance of Mugabe’s foreign travels and diplomatic engagements, but what is more important now is saving the economy and the country. Mugabe needs to reduce his trips and – if there is an urgent need that he must travel – then he needs to take a very lean delegation rather than hangers-on, who are only in it for the allowances. This should also mean the President’s family, particularly his children, should be nowhere near official trips. Tanzanian President John Magufuli has shown that this can be done and his strictness on foreign travel has seen his country saving almost $500 million in 12 months. Ministers and other government officials should also have their travels cut, while there is no need for authorities to spend fortunes on new cars each time ministers are appointed. Zimbabwe needs to cut its coat according to its cloth, meaning if there is a shortage of foreign currency, then the government should be seen saving as well rather than wasting money on foreign travel and trinkets. Mangudya may think he has done a lot by limiting the use of international cards, but in reality this is a drop in a bucket – in an environment where government spending and profligacy is the bucket.